An EU-wide report issued 22nd February on antimicrobial resistant bacteria found in humans, animals and food indicates that levels of resistance to a range of antibiotics remain high across the continent. The report also highlights significant variations between different countries, with those in Northern and Western Europe – including the UK – generally having lower resistance levels than those in Southern and Eastern Europe. The report, published by the European Food Safety Authority (EFSA) and the European Centre for Disease Prevention and Control (ECDC), incorporates already-published UK veterinary surveillance data from 2015 and compares them with other countries for the first time. John FitzGerald of RUMA, the agricultural and food industry alliance which promotes responsible use of medicines in farm animals, welcomed the overview provided by the report and the One Health approach of gathering human, animal and food data together. “This shows that the work being done to reduce, refine and replace antibiotic use is a priority, and very necessary across both human and veterinary medicine,” he said. However, he highlighted that while cutting back on antibiotic use should reduce the risk of resistance occurring, there was not always a direct relationship. “This report found very low levels of resistance to carbapenems in pigs and pig meat, yet carbapenems are neither authorised nor used in food-producing animals. But this doesn’t mean we should lose focus on reductions,” he stressed. For example, very low levels of bacterial resistance (in 0.6% of isolates tested from fattening pigs) were reported for colistin, a drug of last resort, in the UK. While 2015 UK sales of colistin for food-producing animals were around a tenth of the EU recommended maximum, it is hoped that voluntary restrictions imposed by many sectors at the end of 2015 after resistance to colistin was found in China will have resulted in further reductions for 2016. 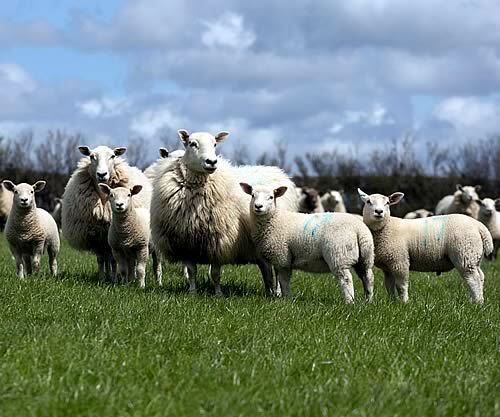 “RUMA and the UK livestock industry are in complete agreement with the report authors, that prudent use of antibiotics in human and veterinary medicine is extremely important in addressing the challenge posed by antimicrobial resistance. We all have a responsibility to ensure that antibiotics keep working,” added Mr FitzGerald. The UK sales data2 used in this report were published in November 2016 and confirmed a 10% reduction in UK farm animal use overall in 2015, including a 24% reduction in pig-only products and 10% reduction in sales of products licensed for pig and poultry use. The RUMA Alliance, which is 20 years old this year and covers every sector and stage of the supply chain in food and farming, has ramped up activities in the last year to help producers reduce use of antibiotics. This includes the creation of a Targets Task Force that will co-ordinate the different farming sectors as they identify meaningful objectives for refining their use of antibiotics. RUMA has also launched the www.farmantibiotics.org information website to provide factual information on use of antibiotics on-farm.